FREE TACTICAL PEN - TODAY ONLY! 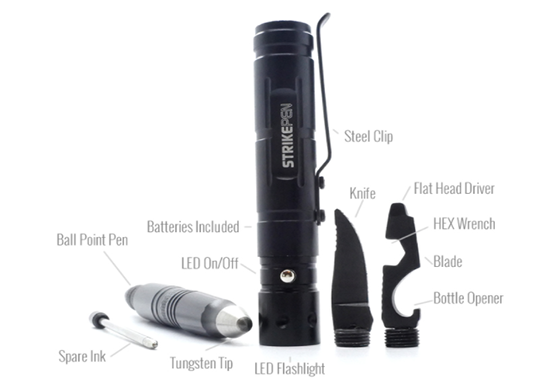 Enter your shipping address here and get your free STRIKEPEN, compliments of Ape Survival. They are giving away 700 of their Premium Tactical Pens, you just need to tell them where to ship it! It’s discreet, compact and easy to carry yet is solid enough to pack a brutal blow that will knock out any opponent. Plus, it’s a fully functional pen you’re going to use every day. To get your free STRIKEPEN enter your shipping address here.